In 1185, the Taira family(the Heike),who had flourished briefly but gloriously as a political power in Japan was defeated by the Minamoto(the Genji) in the final sea battle of the Dan-no-ura. But Dainagon,Tokitada Taira,The forefather of the Tokikuni family,survived out of the family and was exiled to the Noto Peninsula by the Genji. After Tokitada's deash, his son, Tokikuni succeeded as a leader of the family. 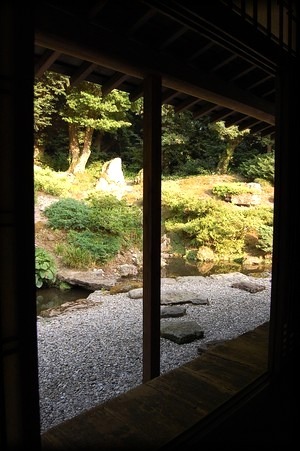 This house built about 300years ago (in Edo Period),has a style of the preceding Kamakura period and Kayabuki-irimoya. In 1963, this house was designated as a National Important Cultural Property by the Government.